Financial Markets Intelligence (FMI), http://fmionlineng.com/, have put together a one-day course on profiting from the stock market for newbies to intermediate learners. 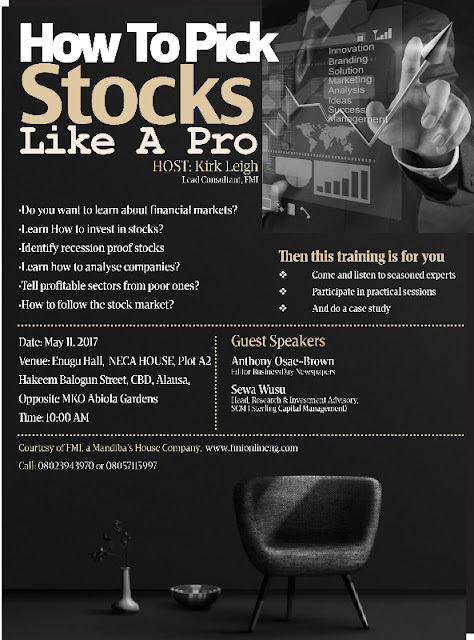 The program billed for Thursday May 11, 2017 at the Enugu hall of NECA House in Alausa is packed with insights on how to navigate the stock market using the Financial Times and the Bloomberg Terminal; how to invest during recession and how to analyse companies. Participants are going to be involved in practical sessions and a case study to help hone their investment skills. Speakers billed for the event include Bloomberg and Financial Times quoted Economist and analyst, Sewa Wusu and Editor of BusinessDay, Anthony Osea-Brown who had stashed experiences in UBA, Bank PHB and other capital market operators before pitching with BusinessDay. 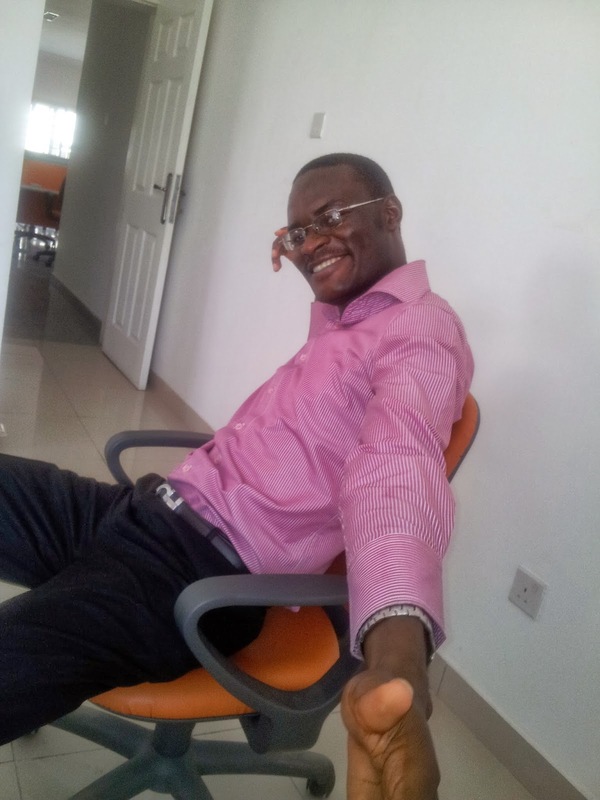 Also speaking on the day is Michael Olafusi an independent investor and data analysis consultant who has profited substantially in shares by investing in the Nigerian stock market. Convener of the event and Lead Consultant of FMI, Kirk Leigh, says the event is a natural follow up to the stock market and economy insights he gives every Monday on the LoveWorld Plus TV show, This Morning, and should help aspiring investors get a deep sense and feel of the market as one way of creating multiple stream of income. I will also be on LoveWorld Plus TV tomorrow between 8:00am and 9:00am, not sure the very minutes or across the entire hour. If you can tune it, help me with some screenshots. Thanks!